Over the past decade, the world has shifted away from music downloads to music streams. The switch-over makes a lot of sense. I love my Spotify and Pandora and wouldn’t have it any other way. But there are good reasons to keep downloading music, chief of all being that you can’t own the music that you stream. Bandwidth concerns are another, which is why a lot of users still download YouTube videos as MP3s. One bonus of downloaded music is that you can edit the files, such as cutting out extraneous bits (annoying intros or outros) or mixing a bunch of tracks into a personal mega-mix. If you’re interested to download Spotify music, here is the best Spotify Playlist Downloader for the job. 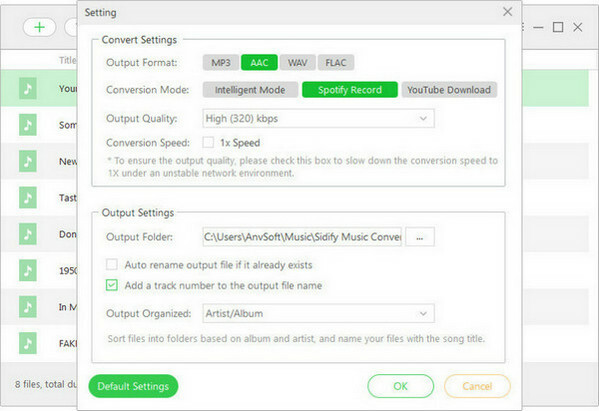 Sidify Music Converter for Spotify can download and convert any track, album and playlist to plain format in just a few minute for Mac and Windows users. It is a fast music converter and takes up to 1 minute to download 5-minute Spotify music without compromising to the quality. 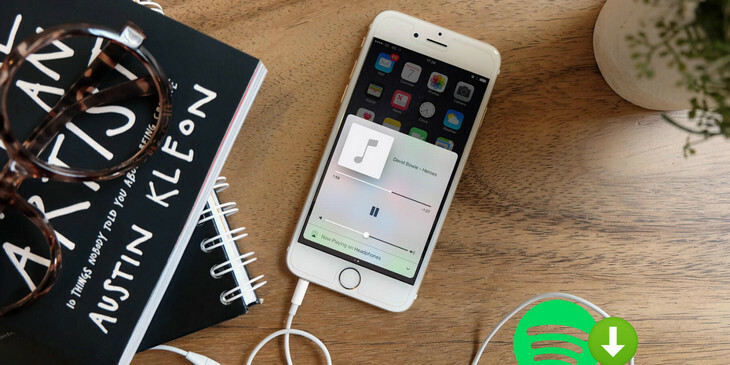 Sidify is designed to be easy to use, and all you need to do is add the music link of Spotify music, choose a format and click on the ‘Convert’ button to get started. Converting a Spotify playlist or single track to an audio file format, including MP3, AAC, FLAC and WAV. Remove DRM from Spotify music and rip them to a specific format playable on your Smartphones, Tablets, TVs and more. You can copy or backup your Spotify music retaining the original sound quality. 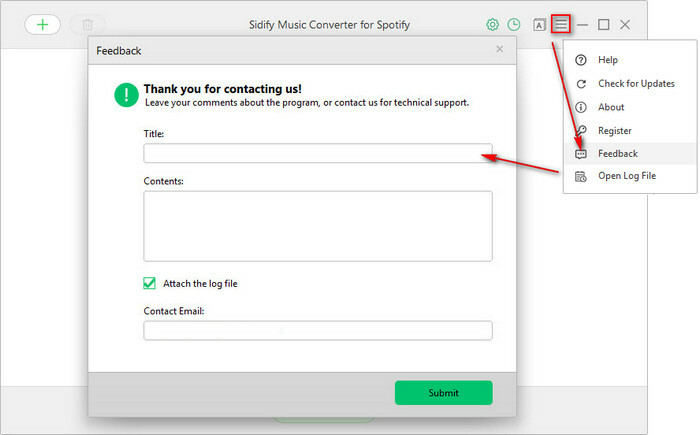 Unlike many other rival software, the Sidify Music Converter for Spotify is capable of keeping nearly all of ID3 tags after conversion. One-click to burn converted Spotify music into CD without reloading it again and again. Support the latest version of Spotify, including official version and Windows 10 store version. In the following part, we will show you the detailed steps on how to download playlist from Spotify to MP3 on Windows with few steps. The Sidify Music Converter for Mac works same as that of Windows version. Tips: Now, Sidify application supports saving the output audio into Artist, Album, Artist/Album or Album/Artist folder for meeting users needs. After conversion, you can click button to easily find the well-downloaded MP3/AAC/WAV/FLAC file in the top right corner. Now, all of DRM-protected Spotify music are converted DRM-free MP3, AAC, FLAC or WAV format, so you can easily transfer them to other devices or share your favoriate playlist with your family and friends. After spending a little time with the app, you can ultimately got used to its features and functionalities. You'll also found it to be the best alternative to the Audacity and thus came to mention few highlights of the app which makes it stand out than the rest of its competitors. 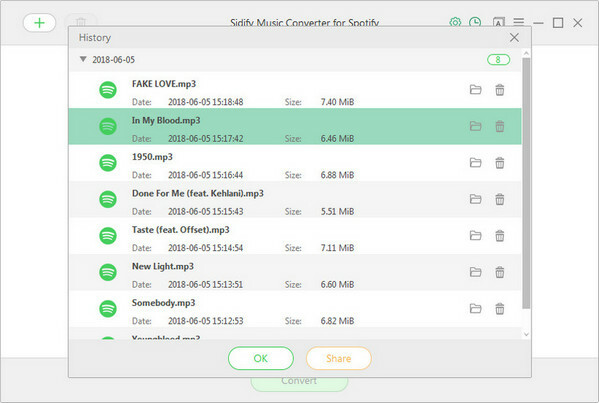 Sidify Music Converter for Spotify offers all the essential set of features and thanks to its user-friendly design; you can use tools quickly and save time. Some features like keep converted music under Album, Artist, Artist/ Album or Album/ Artist folder, one-click to burn to CD, share Spotify music with friends, and the power to export to popular file formats like MP3, AAC, FLAC and WAV format. If you have ever used the much popular Audacity, you must know how challenging learning its features is. Luckily, Sidify Music Converter for Spotify has a user-friendly tile design presenting all the inboxes and right on the home screen. The app operates intuitively with the features the best Spotify playlist downloader offers. A person with a little knowledge of operating softwares can easily install and use it without referring to the manual. 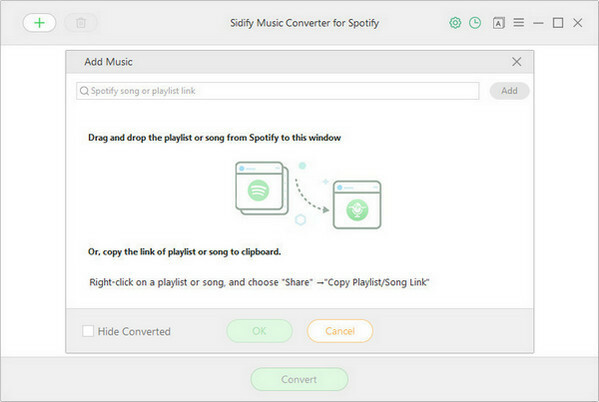 Now, Sidify Music Converter for Spotify (Windows version) supports 34 languages, including Arabic, Azerbaijani, Basque, Bosnian, Catalan, Chinese Simplified, Chinese Traditional, Croatian, Czech, Danish, Dutch, English, Filipino, French, Galician, German, Greek, Georgian, Hebrew, Hungarian, Italian, Indonesian, Japanese, Javanese, Korean, Maltese, Norwegian, Persian, Polish, Brazilian Portuguese, Russian, Romanian, Spanish, Swedish, Slovak, Turkish, Ukrainian and Vietnamese. Now, we still welcome users to help us translate Sidify to your local language and get rewards. 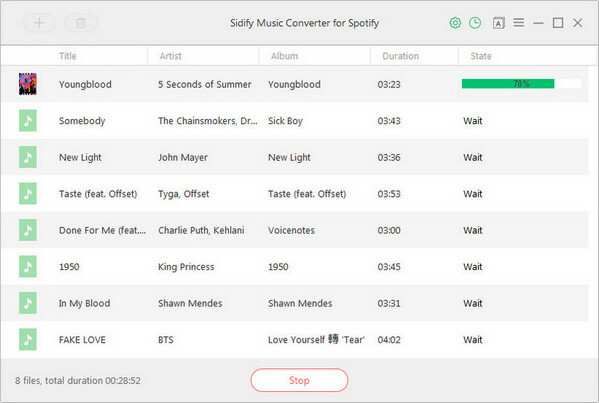 Sidify Music Converter for Spotify is available for both Windows and macOS and can be bought online via the Sidify official store for just $39.95. Also, for users who prefer to try out the program first, there is also a trial version available. While the trial version is free to use, it does, however, limit the length of the converted audio files to 3 minutes. Also, license keys purchased online can easily be entered into the trial version to activate the product, thus eliminating the need for downloading separate application or setup files. Sidify programs has a superior support team to back you up while you are in trouble and treats it as a priority. For clearing general queries and instructions, their website includes a comprehensive guide, FAQ, and troubleshooting section. However, if you are still facing an issue, you can quickly submit a feedback to contact the support team or write an Email to Sidify support team via support@sidify.com. Sidify Music Converter for Spotify works well with respect to DRM removal from Spotify Music content. The software delivers everything it promises, with plenty of features to make use of. Overall, testing this software will give you a positive experience. If you’re someone who prefers to remove DRM protection from Spotify music or playlist, the Sidify Music Converter for Spotify makes itself a compelling choice.